No internship is a bad internship. That’s because internships are a test run for the future. And even if a college student or recent college grad completes an internship that makes them realize they no longer want to pursue a certain career path, or the internship isn’t what they hoped it would be, there is still value in completing that internship. After all, this is the perfect time for a do-over – and perhaps the best opportunity you’ll ever have to become completely focused on exactly what you want. Not what your parents want. Not what you were “supposed” to be. But that person who can really make a difference while doing what they love, says Babbitt. But don’t quit. In most cases, of course, you’ll want to finish the internship. Even when conflicted, it is important to meet your commitments. Keeping your word is a habit that will serve you well in your career. People will feel comfortable vouching for you. Aside from that, however, there are benefits to finishing what you started. First, you’ll build the soft skills you can leverage in any career path. Second, you’ll continue to build your personal network. Even better, you can find a mentor. Rather than judge you for a change of heart, a mentor can guide you through this early-career transition. Focus on building your network – you never know where it will lead. Investigate all opportunities – it is amazing the opportunities that exist in a firm/company outside of the one you may be currently interning within. Observe the culture – Understand the culture of the organization you are interested in working for, and base that off of the culture you experienced while interning. All internships do provide value, even if you don’t realize it now. Follow these tips from Bravo to continue to gain from your internship. Write down the pros and cons: What worked and what didn’t? What about it didn’t satisfy your interests in this field? What did you like or learn? Which of your career values did it match (autonomy, location, hours of work)? “Once you shorten the list to essentials you need in a job, start looking for opportunities that match those,” says Bravo. Build your network: You spent a few months at your internship and likely met people of influence and interest. Build on that network. Ask a few professionals with positions that you were interested in for an informational interview. Learn about their career path and the twists and turns they likely took. Finding the right fit usually takes time. Be open to a variety of opportunities: Focus on what you like doing and what you do well. You are more than your major and you can transfer your knowledge and skills to hundreds of positions. You’ll need to confidently convey your value to the next employer. Even if you’ve already graduated, utilize the resources of your college career services department. And then, embrace your next challenge and go for it. Need help finding a great internship? 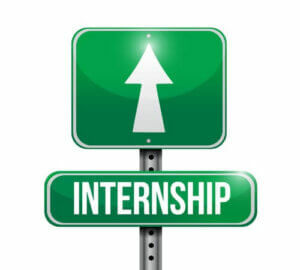 Register with College Recruiter and search for internship opportunities. Don’t forget to follow us on Twitter, LinkedIn, Facebook, and YouTube. For job seekers who want to stand out when applying for entry level jobs, there are 25 words and phrases they shouldn’t use according to the following post. In order to succeed in your interview for an entry level job, try talking about these 10 things that will impress the interviewer, which are mentioned in the following post. Once new grads begin searching jobs for recent college graduates, they should consider six things about their job searches. Find out what they are in the following post. If you are wondering why your resume for an entry level job is not drawing responses from recruiters and employers, the following post offers one very good reason. What are the keys as an internship finder to getting the right position? The following post shares the five Cs to a successful search. Your resume is key to landing a job interview. If yours can’t compete with that of the competition, you likely won’t get invited to this all important meeting. So if you’re hoping to improve your chances of landing interviews for recent graduate jobs, the following post shares seven ways to rework your resume. In the following post, learn seven soft skills that may help people secure jobs for recent college graduates. Have You Made New Year’s “Realizations” for Your Entry Level Job Search? You are probably wondering what are new year’s “realizations” and how can they help your entry level job search? Find out in the following post. If you’re about to interview for an entry level job with an experienced recruiter, make sure you are prepared by using the tips in the following post.